The festival of all kinds of music will be held the other day. All the girls from the Monsters High will go there. Each of them is preparing for this event and is going to have a good rest . Abbey also goes there and she is already preparing a hippie outfit . In addition, she will dance till dawn to the music in the style of the 60s. Help her to prepare for this holiday in this game. 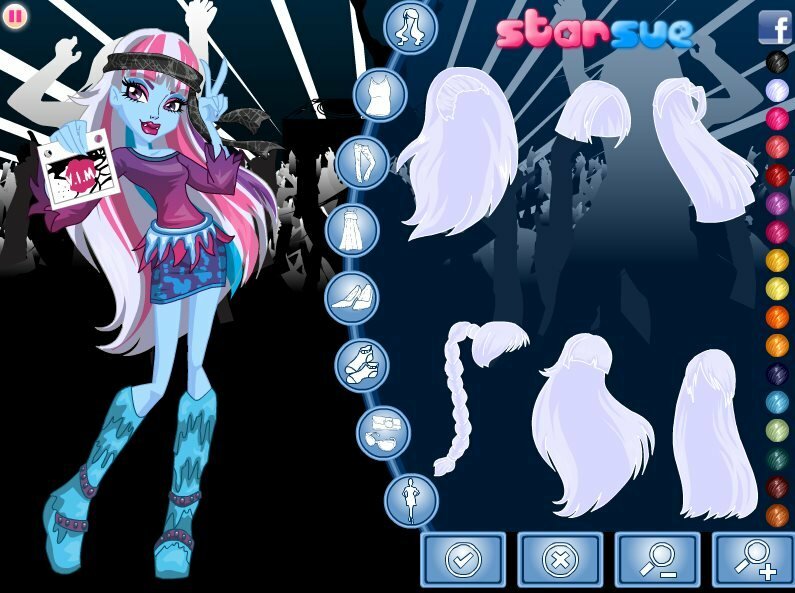 To do this, choose buttons with outfit icons with the mouse and pick the best outfit for our young party girl. Played: 37188. Added: 17-05-2014, 15:01. 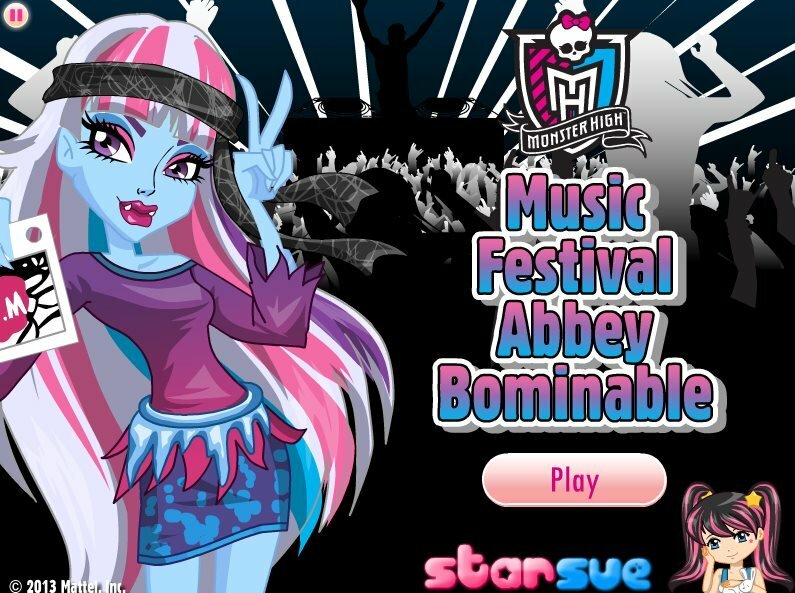 Music Festival Abbey Bominable dress up.